As an artist, I chose to paint Imelda May for the simple fact she has a great look as well as a great sound. 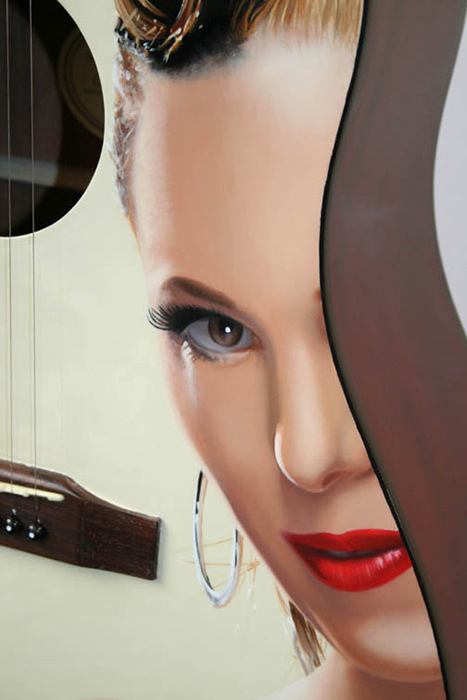 The piece features oil and acrylic paint and gold leaf on an Epiphone guitar. 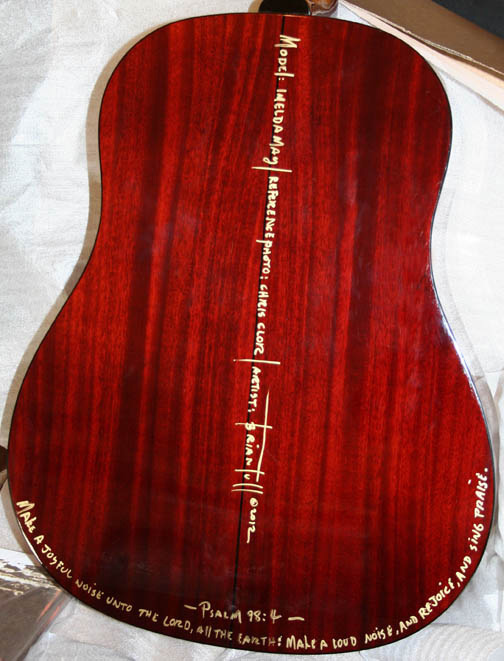 This guitar was part of an auction and benefit concert called String Fever. It was hosted and headlined by Vince Gill for the Tennessee State Museum Foundation on December 12, 2012. Joining Vince was a cast of 20 legendary musicians, including Phil Brown, Larry Carlton, Steve Cropper, Duane Eddy, Steve Gibson, Rory Hoffman, Johnny Hyland, John Jorgenson, Colin Linden, Jack Pearson, Al Perkins, Andy Reiss, Marty Stuart, Guthrie Trapp and Steve Wariner. The back-up band included the multitalented musicians Peter Abbott, Kenny Greenberg, Jon Jarvis and Michael Rhodes. The benefit concert String Fever was presented by the Tennessee State Museum Foundation in conjunction with the exhibition, The Guitar: An American Love Story. The exhibition featured a selection of some of the rarest guitars ever created. More than 150 world-class guitars, both vintage models and celebrity owned favorites, which had been gathered from private and museum collections were showcased at the State Museum, including Vince Gill’s cherished 1942 Martin D-28. The proceeds of the concert and auction of the guitar benefited the Tennessee State Museum Foundation, a 501(c) 3 non-profit organization, which supports the State Museum’s exhibitions, events, and permanent collection. The exhibition, The Guitar: An American Love Story, was sponsored by Gibson Guitar Corporation, City National Bank, C.F. Martin & Company, PLA M edia, Cotten Music, and Nashville Arts Magazine. 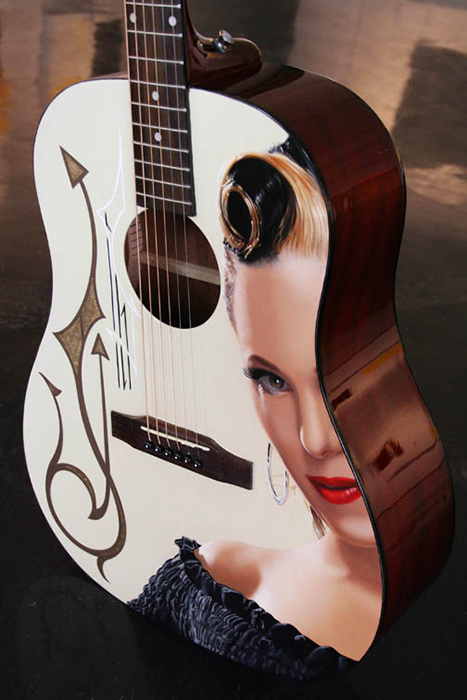 Thanks to Imelda May and Emily Charles for the permission to paint this guitar, as well as Chris Clor for the reference photo for the painting.